This non-linear story could be used to introduce elementary school children to the various sections of the orchestra and the sounds each section produces. The story begins with a full picture of the orchestra. 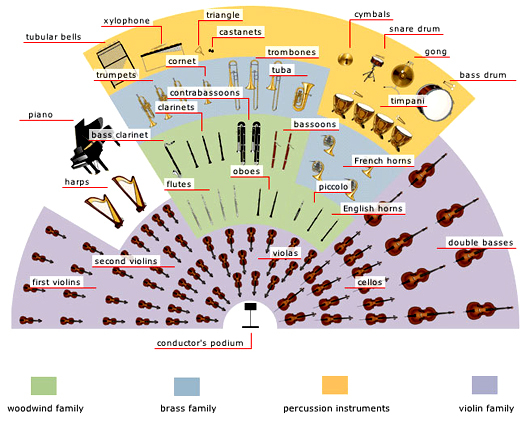 The picture has a few direct links to learn about particular instruments in the orchestra (i.e. piano) as well as links to other interactive pictures which highlight specific sections of the orchestra (i.e. 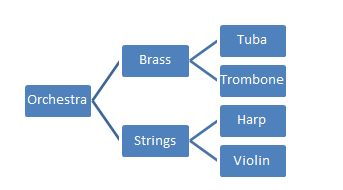 brass or string sections). Tool Comments: The “HTML” files used will be a string of Thinglink.com interactive images. The simplicity of the Thinglink.com site makes it a great resource for teachers and other educators who would like to centralize their multimedia artifacts into a big picture. A link to the initial Thinglink.com image has been added to my blog.